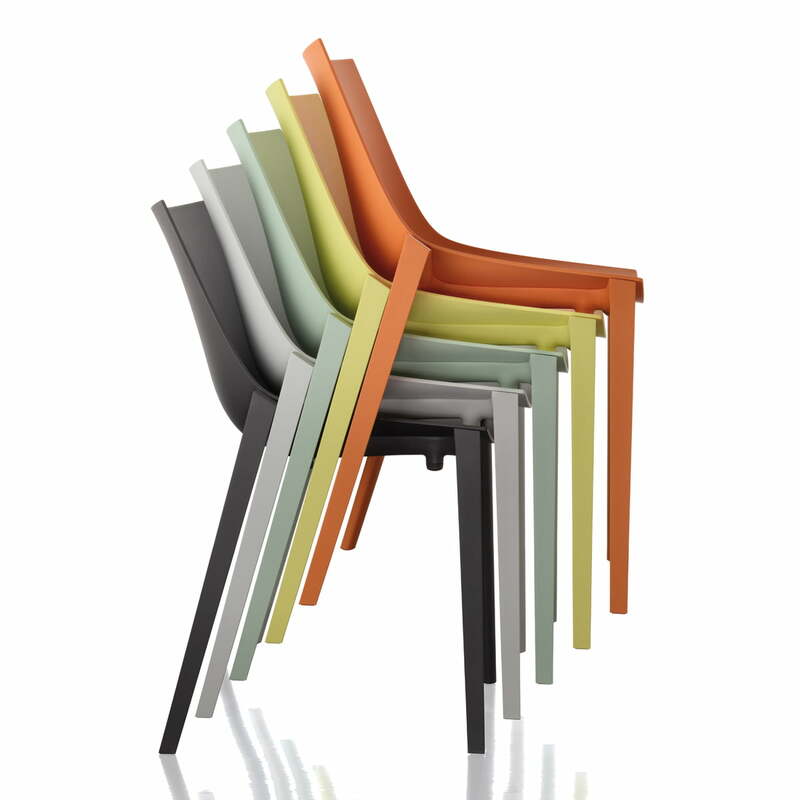 Star designer Philippe Starck presented another powerful piece of design with his Zartan: Zartan is a purist designed chair, which bursts with timelessness by its clearness. Its clearness makes it suitable for every surrounding: Whether in private areas, in restaurants or at conference tables – the minimalistic chair by Magis won’t be unsuitable anywhere. The slightly highlighted back feet ensure the special something of Zartan. Another specialty is the versatility of variants of Zartan - offering outdoor editions and absolutely environment friendly chairs, leaving no wishes unfulfilled. 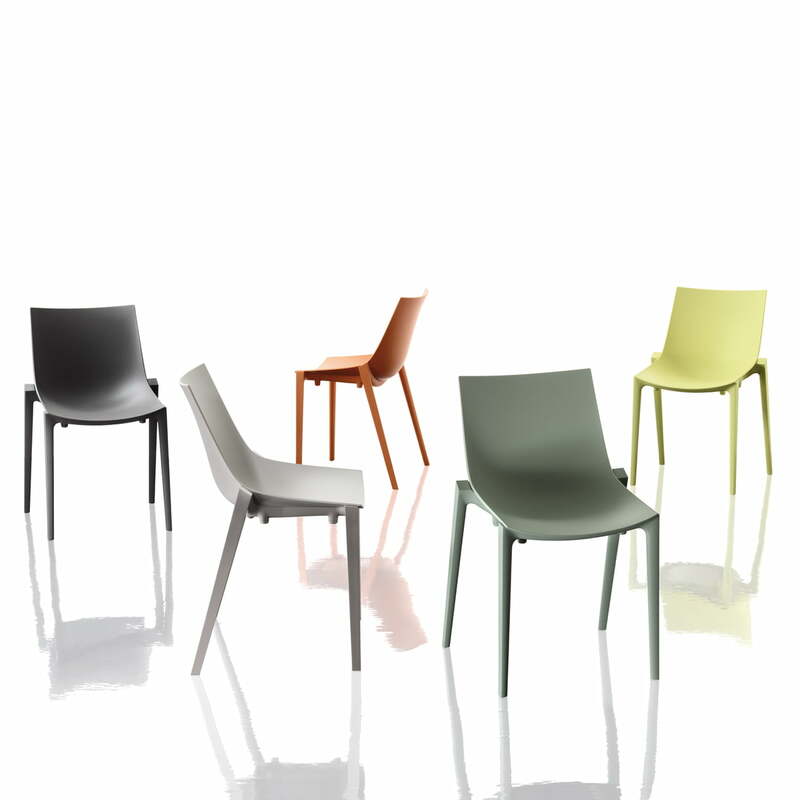 All the versions are furthermore stackable (up to four chairs). The “Basic” edition is made of fiberglass reinforced polypropylene, which ensures an ideal mixture of stability and flexibility. Furthermore the Zartan Basic is perfectly usable outside with its resistant materials. Zartan Basic is available in five colours. The “Raw” edition is a robust one with Vintage-look. 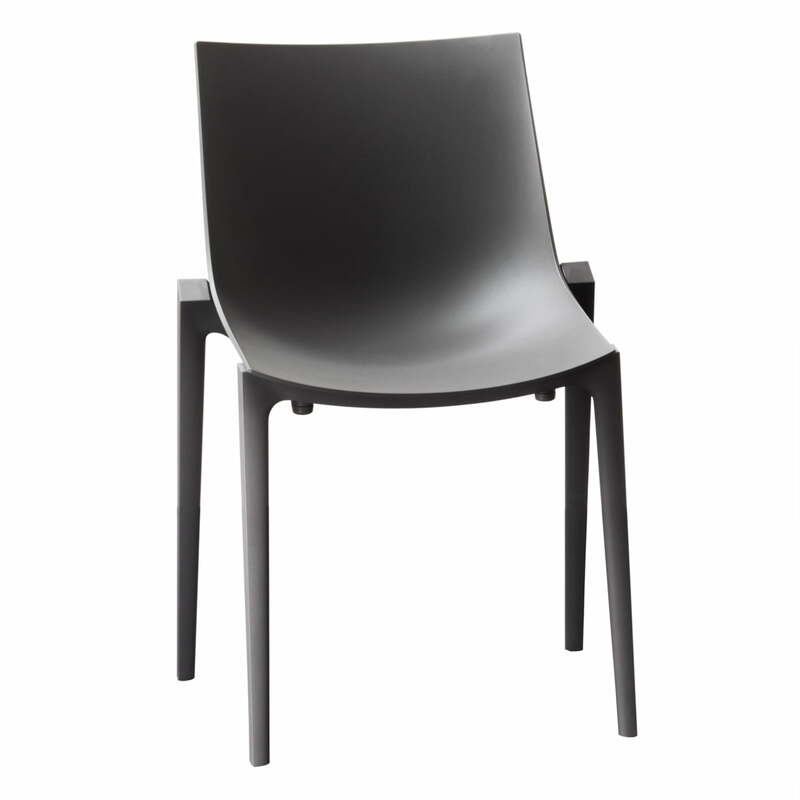 Seat and backrest of the Zartan Raw consist of recycled polypropylene and wood fibre. This is how the used material doesn’t only ensure special appearance – but also environment friendliness by the recycling and the re-growing natural material. The “Eco” version of Zartan is made of ecologic materials, as well as Zartan Raw. But the appearance of these chairs act more homogenous and exclusive. Zartan Eco consists of recycled polypropylene, which is reinforced with linen (brown) or hemp (dark grey). This means that the environment consciousness is included with the purchase of Zartan Eco.